Scooper - Entertainment News: Congrats! Wizkid is nominated for Billboard Music Awards! Congrats! Wizkid is nominated for Billboard Music Awards! 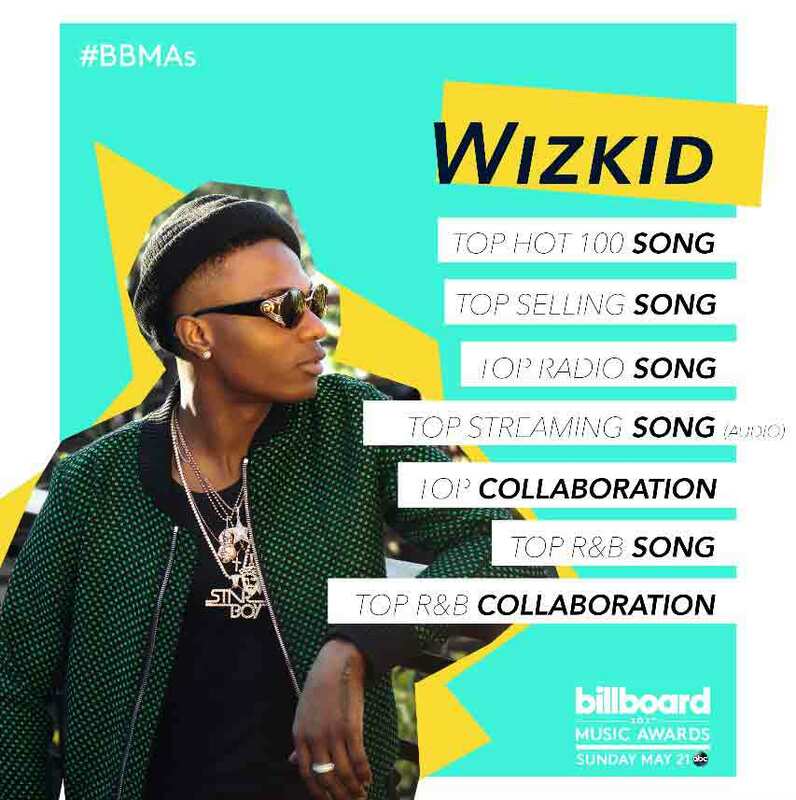 Billboard Music Awards just revealed the nominees for the 2017 #BBMAs and pop superstar Wizkid bagged a whopping seven nominations. The nominations are for his collaboration with Drake and Kyla on the 2016 smash hit single “One Dance”. The seven categories he was nominated for are Top Hot 100 Song, Top Selling Song, Top Radio Song, Top Streaming Song (Audio), Top Collaboration, Top R&B Song and Top R&B Collaboration.